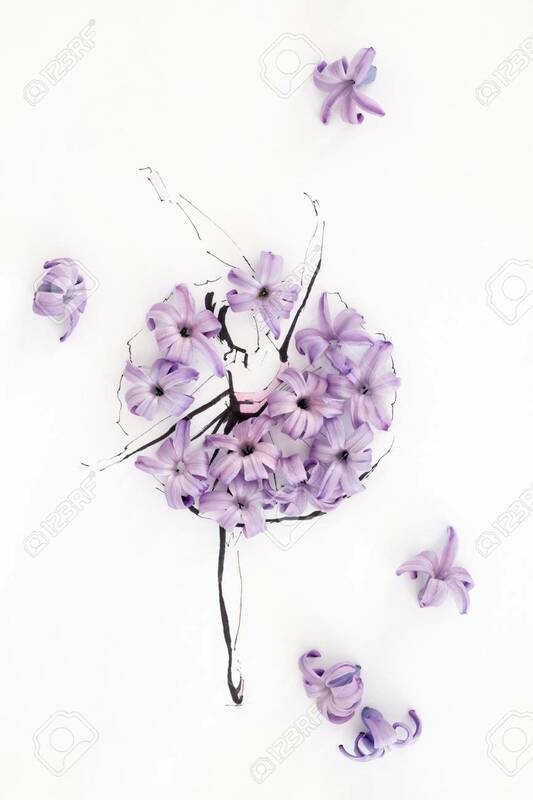 Hand Drawn Ballerina Dancer Wearing Dress Made Of Natural Hyacinth Flowers And Posing On A Tiptoe Isolated Over White. Fashion Illustration 免版權照片，圖片，畫像及圖片庫. Image 84674916.